REVIEW – I’m on a mission to find my next favorite pair of Bluetooth earbuds and so far I’ve been focusing entirely on truly wireless earbuds, but in reality, if I had to pick a pair of Bluetooth earbuds that sound the best and fit the best, the ones I’d pick are not completely wireless. 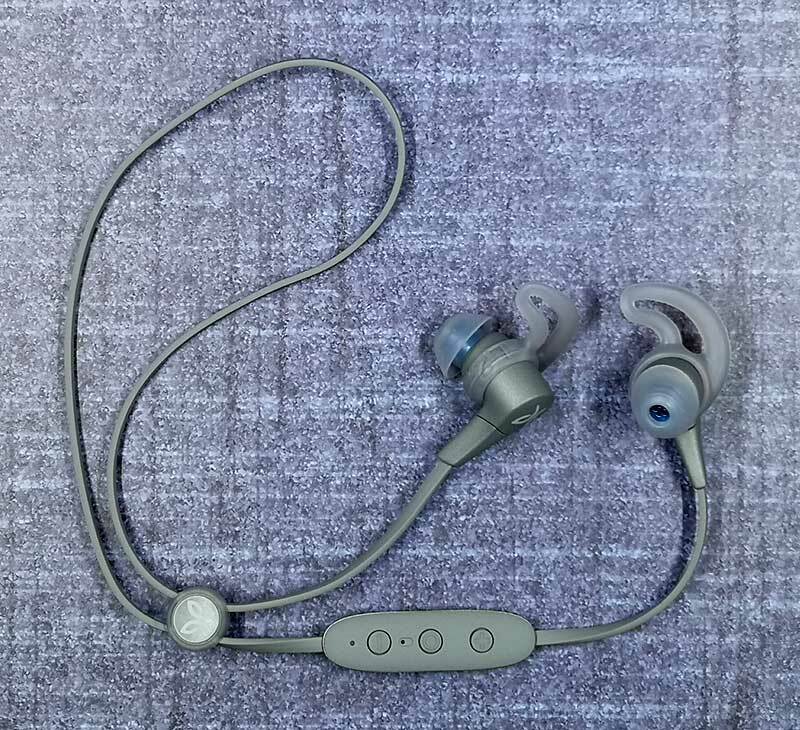 They have wires that connect the earbuds together and they are the Jaybird Freedom 2’s that I reviewed back in November 2017. Well, now I have a pair of Jaybird X4 Wireless Sport Headphones. Let’s check them out. 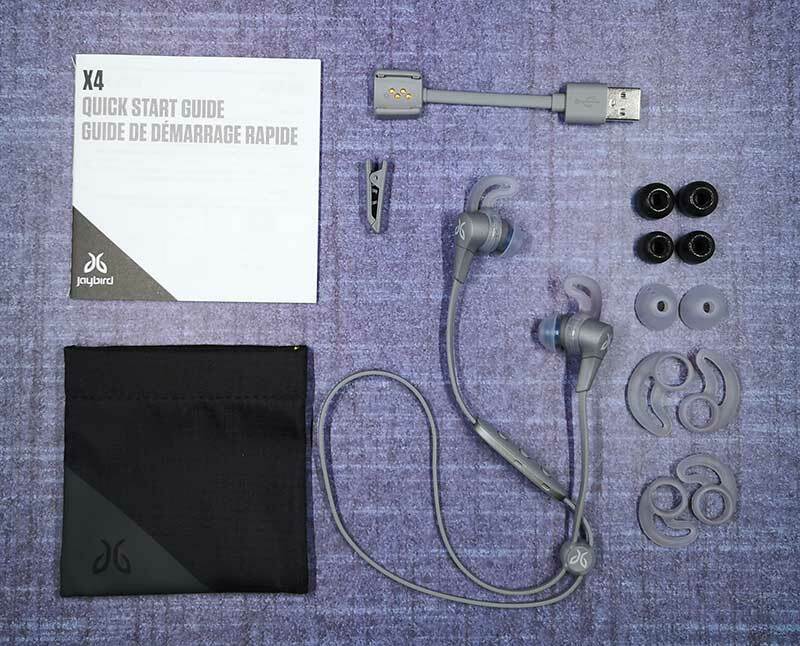 The Jaybird X4 Wireless Sport Headphones are Bluetooth headphones for sports enthusiasts because they feature a sweat and waterproof design. 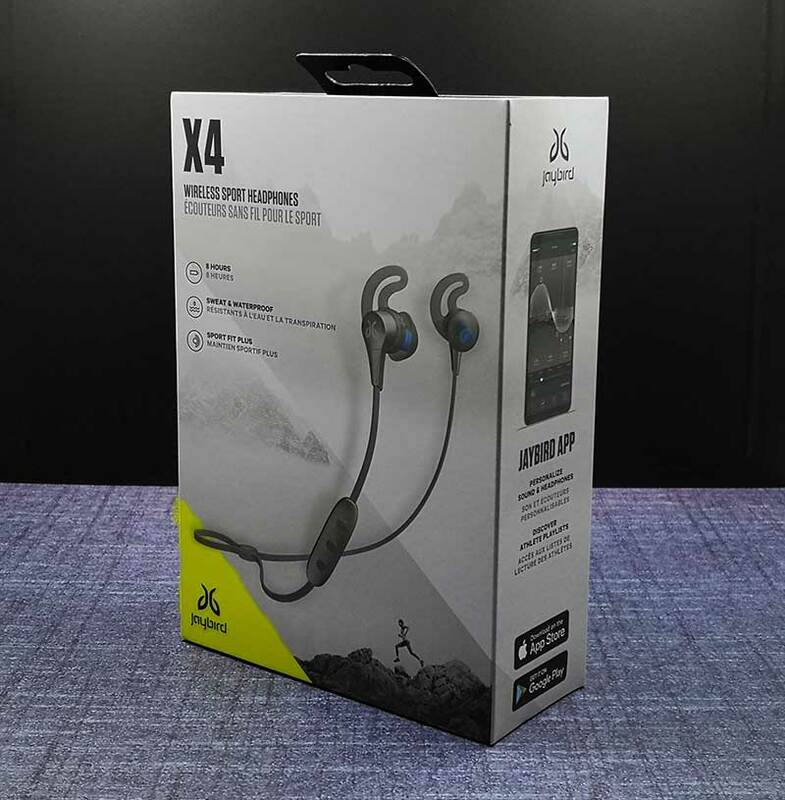 The X4 headphones have a more rugged design compared to the Freedom 2 headphones. The cord that connects the earbuds to each other is wide and flat, with an inline controller that has three buttons and a built-in microphone. The outer buttons are used to adjust volume and skip/prev tracks, while the center button is used to toggle power, play/pause, and answer/end calls. There’s also a removable clip and cord cinch that you can use to keep the cable from flopping around against your neck. The battery is charged using a proprietary USB clip that you see in the image above. I’m not a fan of this change from the previous Jaybird headphones because it means you will have to remember to take this cable with you when you travel and it also means that you’ll be left with no way to charge the headphones if you happen to lose this special charging cable. Luckily the cable is short enough that it will fit in the storage pouch. Although I’m not a fan, the charging cable/clip is easy to snap on and off of the inline controller and once charged, these headphones can play up to 8 hours on a single charge. 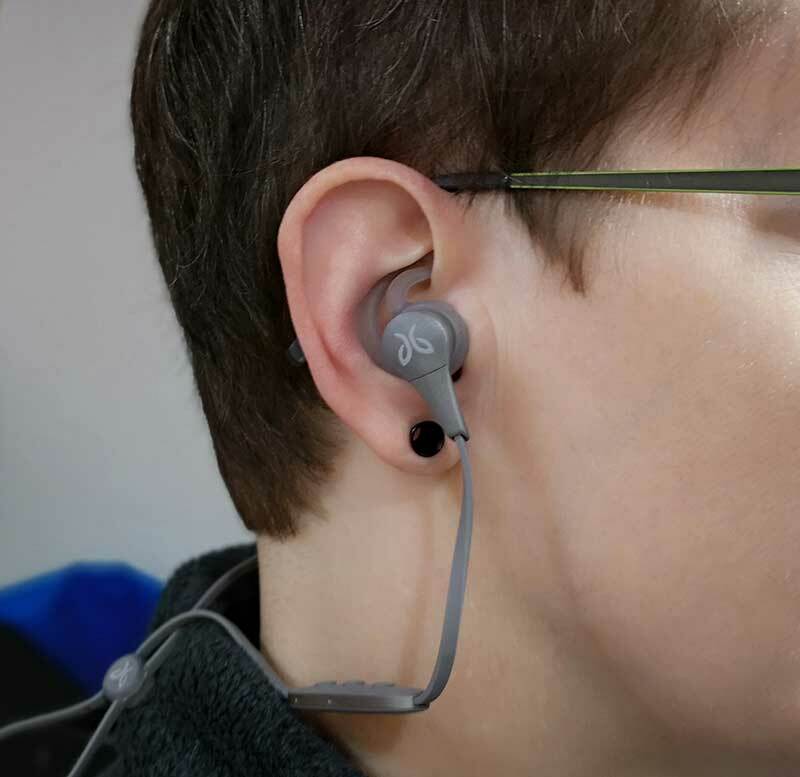 The X4s can be worn over or under your ears. I prefer wearing them under since I already wear glasses and don’t want two things resting over my ears. 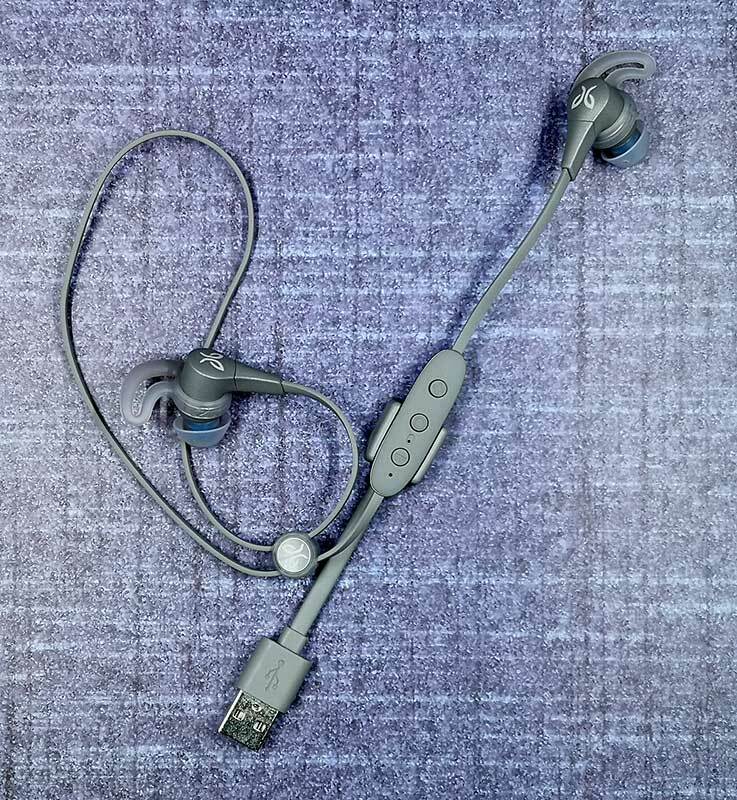 I realize that everyone has differently shaped ears, but for me, the Jaybird X4 earphones are the most comfortable Bluetooth earbuds that I’ve found so far. They don’t hurt my ears and they stay in my ears even when I’m working out which I can’t say about 99% of the completely wireless earbuds that I’ve tested over the years. Since the Jaybird X4s fit so well in my ears, music and other audio sounds great too. While these earbuds will not impress an audiophile, they still provide enjoyable quality while listening to music. I like to listen to all types of music and found the X4s to have good bass, clarity, and volume. For calls, the X4 side of calls sounded just fine. But when I would ask the person on the other side of the call how I sounded, they would say that they could tell I was talking using a Bluetooth headset as I didn’t sound as sharp and crisp as I usually do. No matter what I do with the X4s, whether it’s listening to tunes while typing at my desk, or listening to tunes while working out, I’ve not experienced any drops or problems with the Bluetooth connection to my phone. With 8 hours of battery life, the Jaybird X4s will last through an entire day at work or several days of shorter listening sessions. I charged the headset and listened to them on and off for 30-1hr sessions throughout a week and I still have 20% battery life left. How do I know how much battery life is left? A female voice tells me when I turn on the earbuds after they’ve paired with my device. The Jaybird Freedom 2 earbuds have been my favorite non-truly wireless earbuds for the past year, but now I have a new favorite and it’s the Jaybird X4 earbuds. They fit great, are comfortable, easy to control with the inline controller, and they sound good. The only problems that I can complain about with the X4s are the price and the fact that they use a special charging cable. 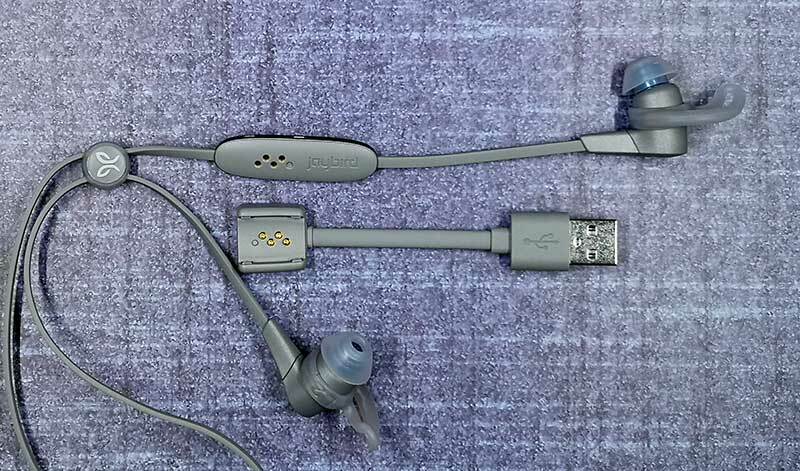 The charging cable isn’t a deal breaker although it is a little annoying given the fact that Jaybird’s previous headphones didn’t require a special cable. The price, on the other hand, is a little harder to swallow since even many truly wireless earbuds are selling at the sub $100 range these days. Source: The sample for this review was provided by Jaybird.